Based on a John Dickson Carr radio play, a vicious plan to drive a new-wed bride insane! US / 84 minutes / color / OTML, Wilshire Court, USA Network Dir: Tony Wharmby Pr: Bob Roe Scr: Elisa Bell Story: Cabin B-13 (1943 radio play) by John Dickson Carr Cine: Brian West Cast: Lindsay Wagner, Angie Dickinson, Grant Show, Joseph Bottoms, Karen Medak, Charles Napier, Eric Avari, Cameron Watson, Jeffrey DeMunn, Scott McCray, Robert Meadmore. A TV remake of the John Dickson Carr adaptation DANGEROUS CROSSING (1953) dir Joseph M. Newman, with Jeanne Crain and Michael Rennie. If you’re familiar with the original then, to be honest, you’ll find that the remake doesn’t have very much new to offer, and of course it lacks Crain and Rennie. On the other hand, Wagner’s interpretation of the abandoned wife who fears for her sanity is arguably on its own worth the price of admission. It’s New York City in 1947 and the crowds along the dockside are waving at the passengers aboard a luxury liner that’s preparing to depart for Europe. Among those waving passengers are freshly wed Lindsey Gates (Wagner) and cynical wife-on-holiday-from-husband Beverly Thomas (Dickinson); they meet and promise to spend time together during the voyage. Lindsey (Lindsay Wagner), full of hope for her new married life. Yet the maid who supposedly tended to the young couple’s cabin, Belinda (Medak), has no memory of Kenneth or of the yellow flowers in 236B; all she can remember is Lindsey’s being solo in 240B. Similarly, none of the other crew can recall having clapped eyes on Kenneth. Was he just a figment of Lindsey’s imagination? Is she nuts, or heading that way? 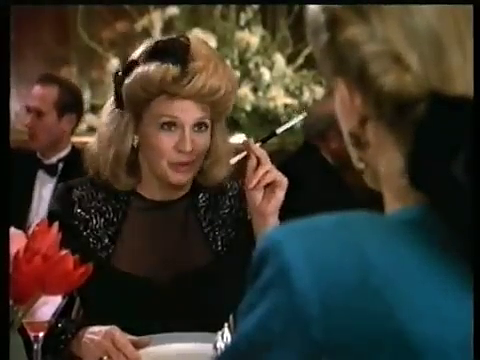 The maid Belinda (Karen Medak) cannot support Lindsey’s story. Certainly the ship’s captain (Napier) thinks she is. Chief Stevens (Show) thinks the same, only almost militantly more so. Don Gallegher (Avari), the assistant purser, concurs. Her steward (Watson), too, cautiously advances a bats-in-the-belfry diagnosis. Even Beverley, her new-found friend, has her doubts. 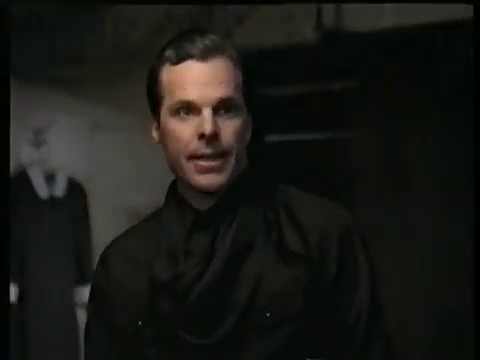 Don Gallegher (Eric Avari), the assistant purser doubts her tale, but politely. Beverley (Angie Dickinson) gives Lindsey (Lindsay Wagner) a sympathetic hearing . . .
. . . and so does Dr. Johnston (Jeffrey DeMunn). However, the captain (Charles Napier) clearly thinks she’s two funnels short of a schooner. The only dissenter to the prevailing view is the ship’s physician, Dr. Eric Johnston (DeMunn), who from the very outset sees something that no one else can—including the movie’s audience, to be fair—that persuades him Lindsey is all too sane, just the victim of a dastardly conspiracy either to drive her insane or at least to persuade the world that she is so. Perhaps it’s the discovery of a yellow rose petal in cabin 236B . . .
Lindsey very swiftly becomes suspicious of Belinda, and furtively follows her around a lot. 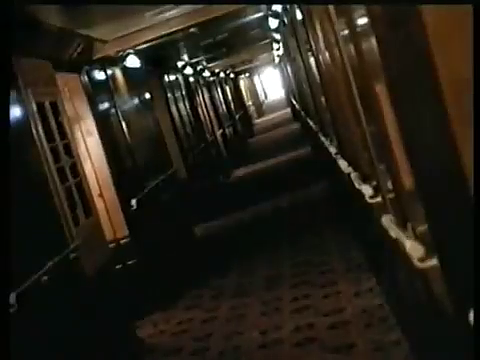 Here the movie does lose its impetus a little because, once you’ve seen one shot of Lindsay Wagner lurking on a companionway, you’ve seen ’em all. But for the most part the plot keeps leaping ahead pretty efficiently, with some very good surprises along the way—as when Lindsey suddenly discovers the word “DIE” scrawled in blood-red lipstick across her cabin’s mirror. If left at that, the moment could be dismissed as a cheap but fairly effective shock, but scripter Elisa Bell chooses to use it as a starting point to give us a little insight into Lindsey’s character. To digress for a moment: Wagner’s undoubted beauty has a sort of fragile vulnerability to it, and through it she manages to convey the perfect image of the puzzled bride uncertain of everything and everyone around her—a woman, in short, who might very well be prey to delusions. This possibility is underscored when we learn a little of her backstory. She owned a fashion boutique. Both she and her first husband, David Hawkins, were orphans. When he hanged himself, she tried to cut him down—with the result that her fingerprints were found on the beam and so, as if her shock and grief weren’t enough to cope with, she went through a long and grueling period of being a suspect for his murder. Not surprisingly, she thereafter had to spend a while in therapy. But then: “When I met Kenneth, for the first time in my life I felt genuinely loved. 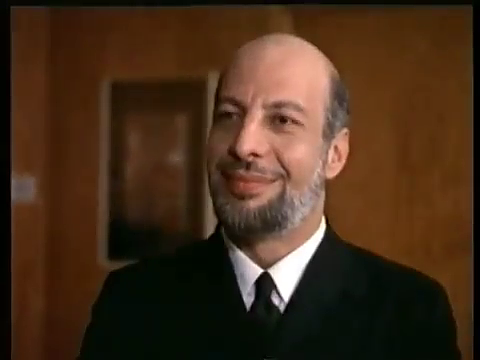 I can’t lose that.” All in all, then, it’d be easy for us to go along with the majority opinion of the ship’s officers. The cinematography is rampant with angled shots. Visually the movie, despite its limited settings, has quite a lot to offer. West’s cinematography leaves us in no doubt about his intentions to homage classic-era film noir—indeed, so fond is he of the angled shot that whole stretches of the movie go by with nary a perpendicular in sight. This could fall into the clutches of cliché but instead it serves, quasi-paradoxically, to add visual variety to a movie that’s very largely confined to cabins, gangways and companionways. 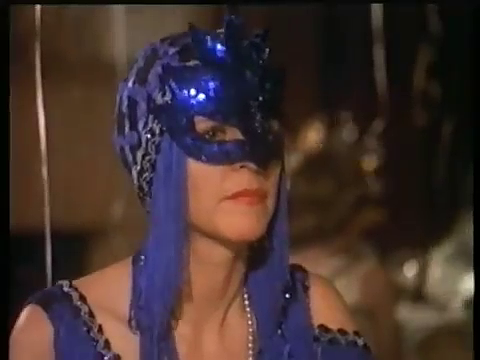 Lindsey (Lindsay Wagner) as a flapper at the masked ball. Beverley (Angie Dickinson) as a ballerina at the same glam romp. The most visually flamboyant sequence occurs when the ship’s passengers are all invited to participate in a fancy-dress/masked ball, with costumes largely hired from the various costumiers who sell their wares in a sort of mini-mall belowdecks. There’s lots of color here, as well as exploitation of Lindsey’s inability, when she spots in the distance a “cowboy” who she thinks might well be Kenneth, to muscle her way through the crowds to reach him. Needless to say, the fact that at the last moment Beverley insisted that she and Lindsey swapped costumes has an effect on subsequent events. Beverley (Angie Dickinson) after the last pavane. As noted, the selection of Wagner as the vulnerable, potentially flaky widow/bride is a brilliant piece of casting; heresy it might be to say it, but I think I actually prefer her to Jeanne Crain in the role (although it’s not really a very fair comparison, since the two movies are each giving a quite different balance of emphases to the same stories). As to the supporting cast, we can say their performances are, well, stalwart but not a huge amount more—with the exception of Show, who hams the role of Chief Stevens a bit. Bad boy Kenneth (Joseph Bottoms) confesses all. Of the other two principals, Dickinson has an unrewarding part but DeMunn offers us a performance of some interest. Obviously he can’t directly rival the great Michael Rennie (although in a few places the camerawork elicits a slight resemblance), and sensibly he and director Tony Wharmby opt for a quite different characterization. Here the good doctor, Eric, is presented as someone who’s on the slightly flaky side of things himself. It’s evident from the outset that the captain quietly despises him in a sort of “with all due respect” fashion, preferring dependable blockheads like Chief Stevens to imaginative and hence perhaps flighty individuals like the doc. 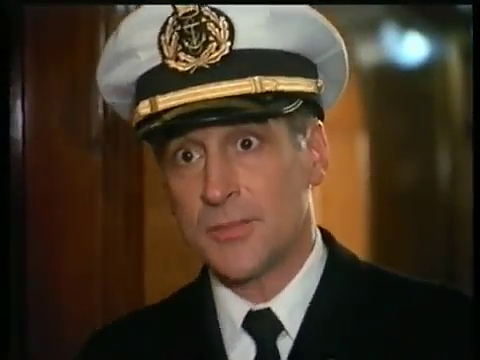 Of course, the ship’s officers weren’t much enthused by Rennie’s character in the original, but he had the power to frighten them back under their stones with the Rennie stare. The slightly wild-eyed DeMunn instead adopts an off-the-wall, hell-with-them attitude: it’s about time Eric retired, anyway; who cares if he gets canned. It just about works, and it’d work triumphantly if it weren’t that the screenplay has to factor in also Lindsey’s growing romantic fondness for the good doc. Of course, in real life beautiful women do fall in love with wild-eyed flakes—to choose a single example, I’ve been married twice—but in a piece of fiction like this it’s difficult to imagine how the friendship and obvious gratitude could naturally graduate into something more. Shades of And Then There Were None? This entry was posted in US TV neonoir and tagged Angie Dickinson, Cabin B-13 (1943 radio play), Cameron Watson, Charles Napier, DANGEROUS CROSSING (1953), Eric Avari, Grant Show, Jeanne Crain, Jeffrey DeMunn, John Dickson Carr, Joseph Bottoms, Joseph M. Newman, Karen Medak, Lindsay Wagner, Michael Rennie, Robert Meadmore, Scott McCray, Tony Wharmby, Treacherous Crossing (1992 TVM). Bookmark the permalink. 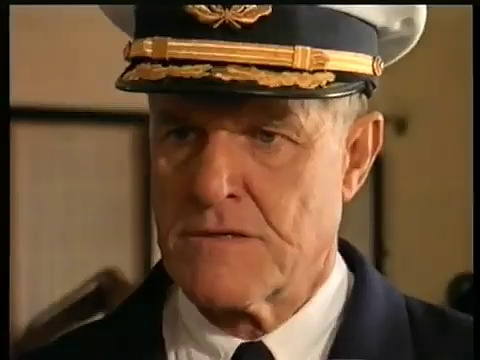 Although, a TV movie from 1992 called Treacherous Crossing sounds to me like rather more of a Robert Wagner affair, perhaps with him as the captain of a computerised cruise ship steering inexorably towards a killer storm and everyone rushing to override the programming before it kills them all. Just sayin’. I’ve never (so far as I know) heard the radio play. I suppose I should go rootling around at the Archive or on YouTube to see if someone’s uploaded a copy — assuming one survives, of course. 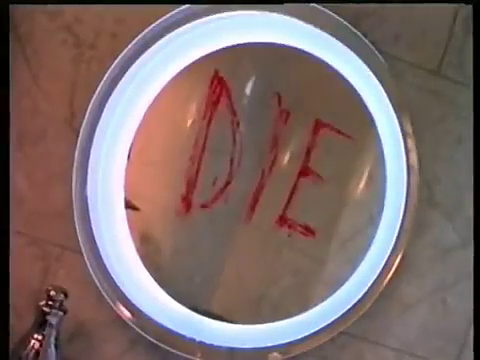 Of the two movies, the older one is definitely more of a must-watch, but this one has its charms. Hooray for Lindsay Wagner! I mean it. I’ve seen her in a few made-for-TV movies, and I think she always gives you your money’s worth. Also, I know this doesn’t matter, but she often wears the most interesting earrings. I’m glad to know about this one – thank!. I think it would make for a good flick on a rainy evening. Couldn’t agree with you more. I always enjoy her performances. That’s a perfect description of it. One to note down and keep an eye for! It’s no classic but certainly worth the 90 minutes. 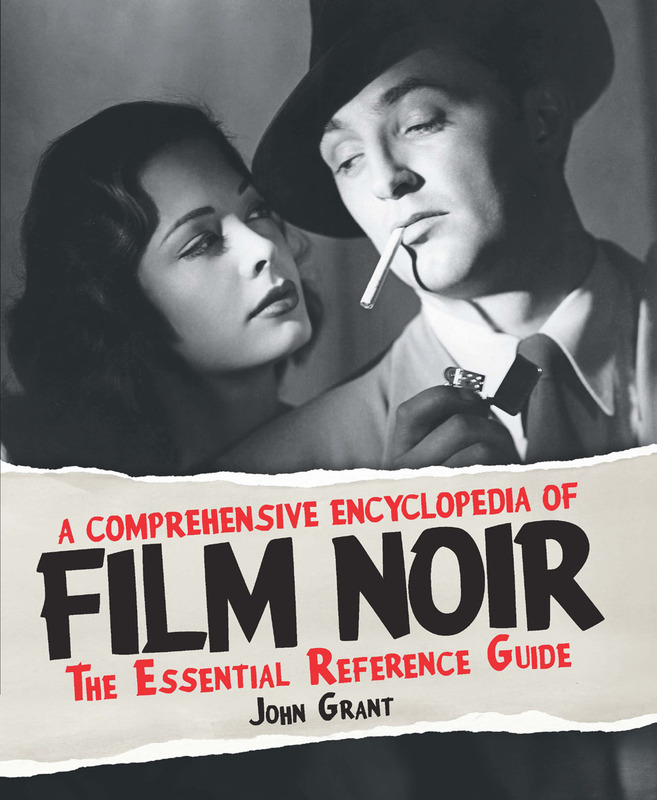 Hi John — Your amazing website is added to my bookmarks, and I must make time to explore all of the great material on classic and new noir that you have curated. I’m also thrilled to learn about your encyclopedia; it will be an anticipated addition to my shelves. Treacherous Crossing sounds like retro fun, and it’s nice to see Charles Napier pop up in an early ’90s role. I also haven’t listened to the radio play Cabin B-13, although I have been listening to John Dickson Carr introduce the radio mysteries (by other authors) in the series Murder by Experts from around 1950. They’re very entertaining. And a quick request: if you have a streamlined PDF of Grand Guignol, I would love to have a copy. Thanks in advance, and thanks for your wonderful site for crime and noir fans! Many thanks for dropping by, Jason, and for the fulsome praise! I’m humbled. The PDF has winged its way to you. Lemme know if it arrives safely (or not!). Always loved Wagner but when I saw this 25 odd year ago I remember liking it a lot more than the thoroughly enjoyable Fox movie version. I did a piece on that one and the original version at Fedora, but am absolutely not doing the self-aggrandising link think again – there are limits! Great review John, would be good to see this again sometime. Do you mean “liking it a lot less”? I’d appreciate the link, if you’d oblige. There is no need to be coy here. Ah! Thanks for the clarification — and for the link! It’s easy to be biased in favor of Wagner. I first saw her when I was an adolescent, and I’ve never fully rediscovered my objectivity. The way her voice would crack with emotion in BIONIC WOMAN really reached my inner child and never left – loved the DOOMSDAY two-parter that Kenneth Johnson wrote and directed, a brilliant bit of telly I still think. I don’t remember individual episodes, alas! It’s the one with the giant computer that is going to destroy the world, a bit of a steal of HAL from 2001 – pitting once giant machine against a machine-human hybrid. I do vaguely recall that one. I saw only relatively few of the episodes.